Backed by high powered, auto-scaling, geographically diverse cloud based DNS servers. We offer continuous speed no matter what - at its absolute best! We have servers around the globe which automatically scale as demand increases. Hosted Name is new, but it sure packs a punch. Most users won't be charged a penny! Our servers are hosted by top-performing, highly scalabale cloud providers. We're using tried and tested technology to ensure it's always online. We've made it easy to leave. You're not tied in and we'll even send you your BIND compliant zone file. 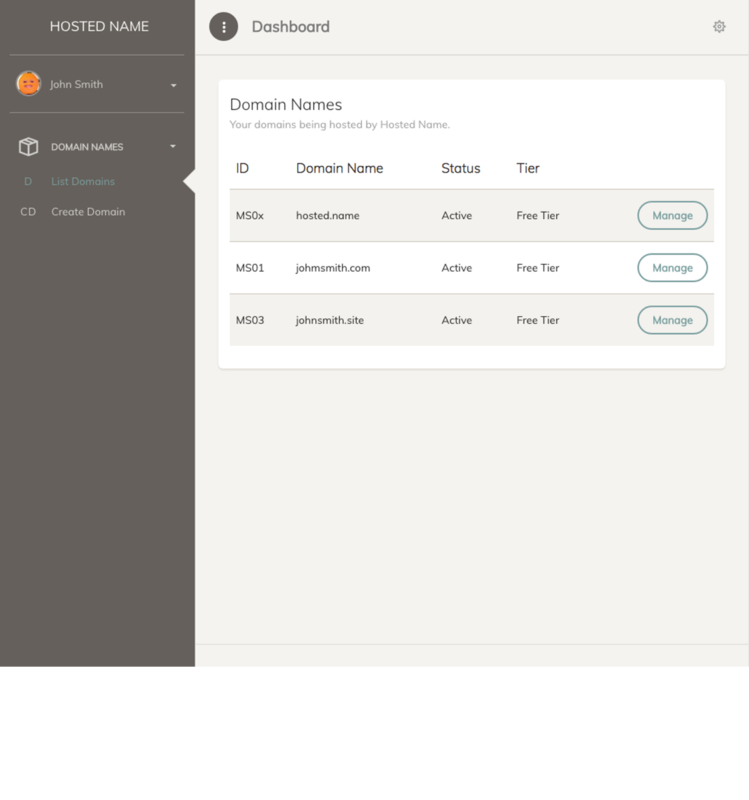 You should be able to self manage your DNS zones through our control panel but if you do encounter any issues then our support team is always available to help. We’re new to the market but we’re going to make a big impact! Our products will constantly be improved based on user feedback and industry standards. Vote for your favorite features and we’ll build them. You will need to choose one to start, but you can switch any time. Hosted Name is a Managed DNS provider based in Bristol, England. Copyright © All rights reserved. Hosted Name. belonging to HGSSO Ltd t/a Hosted Name (“Company”, “us”, “our”, and “we”). do not access and/or use the Site. displayed on the Site) must be retained on all copies thereof. except for the limited access rights expressly set forth in Section 2.1. Company and its suppliers reserve all rights not granted in these Terms. There are no implied licences granted under these Terms. respect to your User Content. reporting you to law enforcement authorities. upon becoming aware of it. with any transaction in connection with such Third-Party Links & Ads. Site user, we are under no obligation to become involved. omission of, other Site users or any Third-Party Links & Ads). reliable, free of viruses or other harmful code, complete, legal, or safe. arising from or relating to these Terms. will remain in effect: Sections 2.2 to 2.5, and Sections 3 to 9.
calendar days following our posting of notice of the changes on our Site. and conditions of such changes. communications would satisfy if it were be in a hardcopy writing. us regarding the use of the Site. agent or partner of the other. forth in these Terms shall be binding upon assignees. written consent or the consent of such third party which may own the Marks.